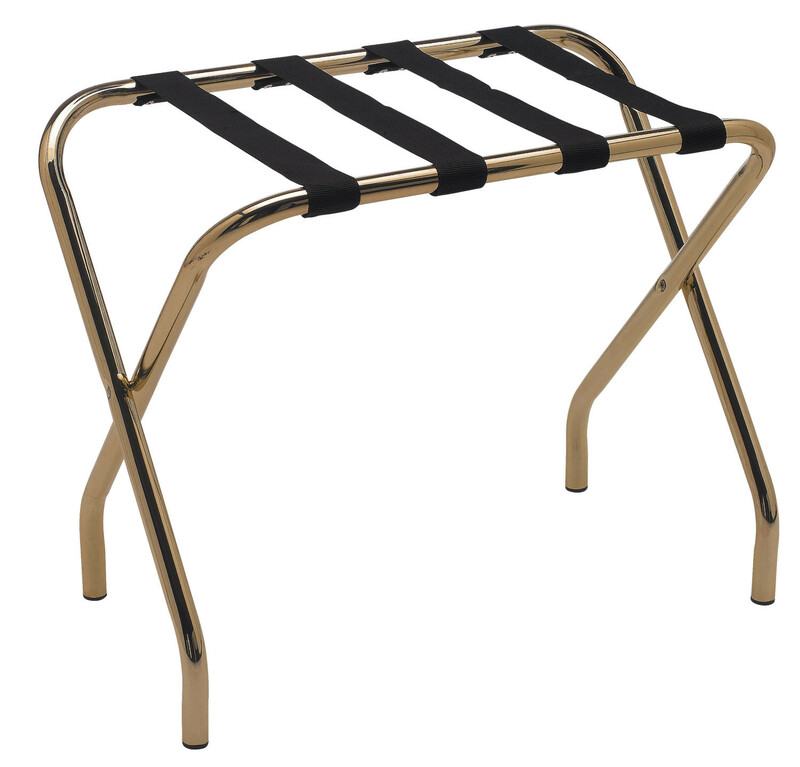 Folding suitcase rack in gold finish with straps in black nylon. 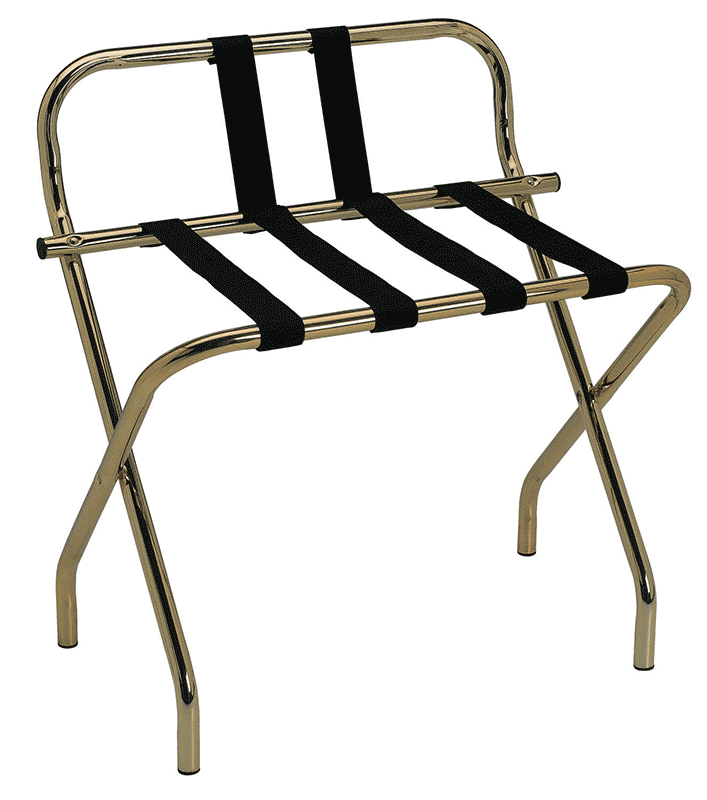 The structure in round tubing and the elegant design make this model the most classical hotel suitcase rack. 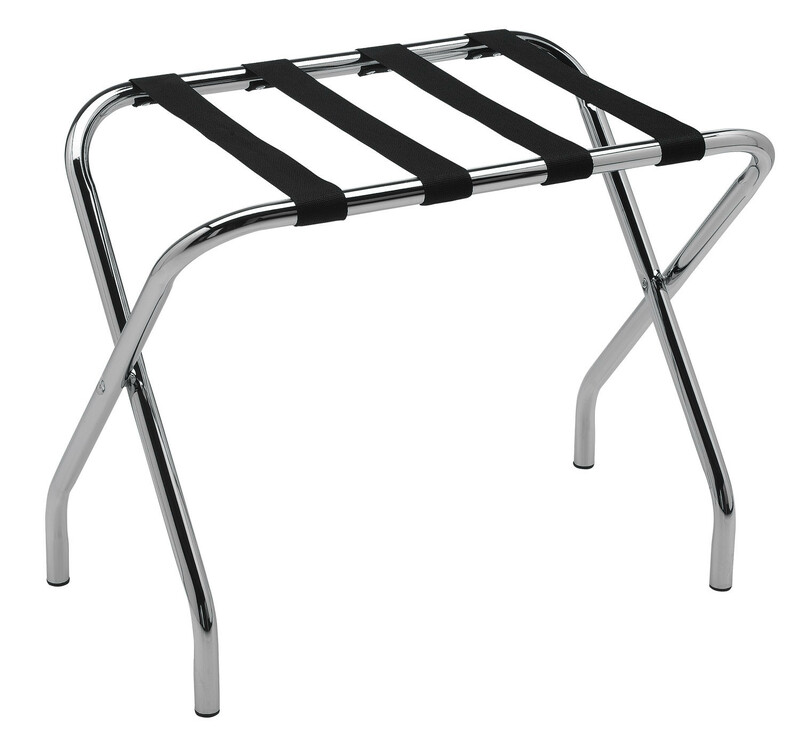 Folding suitcase rack in chromed metal with straps in black nylon. 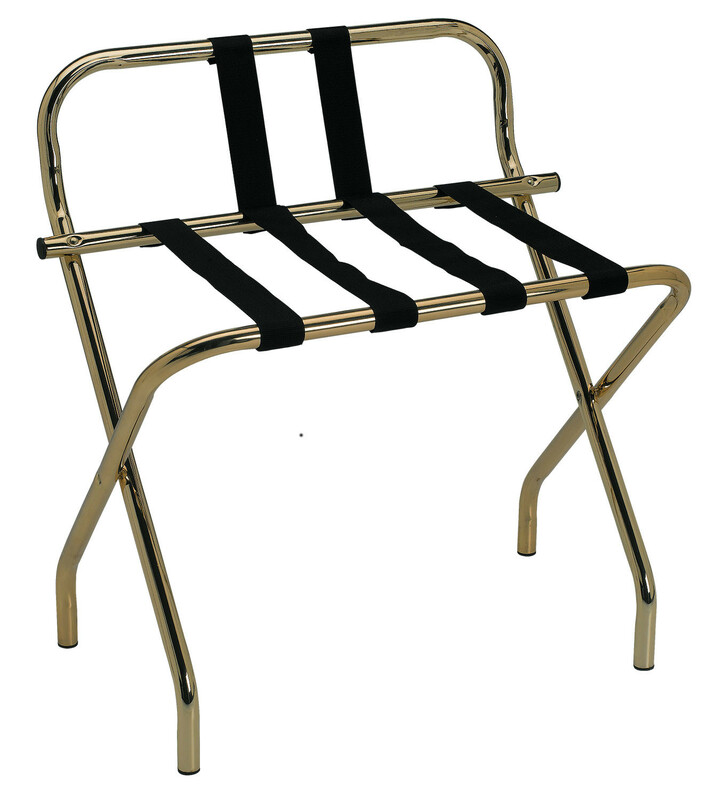 The structure in round tubing and the elegant design make this model the most classical hotel suitcase rack. 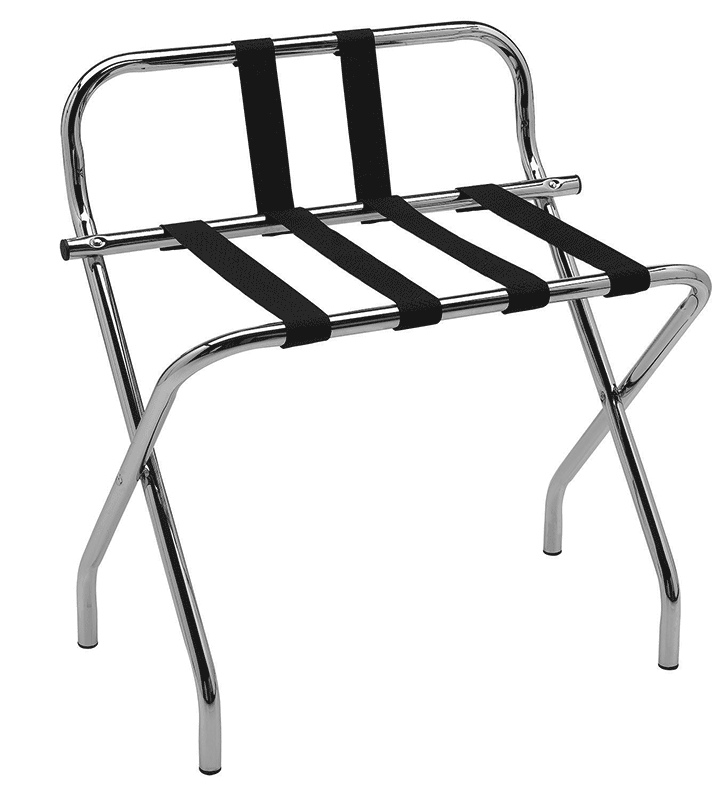 The raised back allows more support for the suitcase.